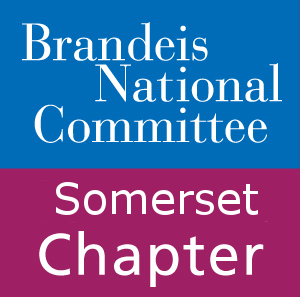 Welcome to the Somerset chapter of the Brandeis National Committee! This is an active, vibrant community of men and women who are passionate about lifelong learning, their communities, and academic excellence. These values, which align with those of Brandeis University, are part of the reason these individuals chose to become members of a group that supports Brandeis’ libraries, scholarships, and scientific research. BNC Somerset also acts as a social hub for our members while providing mentally stimulating programming. Participating in our study groups is a wonderful way to spend time with old friends and meet new people with mutual interests. All of our study groups and one-time events have an educational element to them. Besides helping raise funds, the study groups and events are designed to expand our members’ knowledge, provoke discussion, and promote fun and friendship. We are always careful to include a wide range of topics to ensure there is something of interest for everyone. In past years topics have included food, film, history, art, theater, literature, technology and social media, music, current events, and trips to local attractions. We are always on the hunt for new topics for future events! The chapter is also involved with several community service agencies to show our appreciation for our communities. Periodically we publish bulletins outlining important dates, contact information, chapter news, and forms, so become a member today as to not miss any crucial information. We can’t wait to reconnect with all our members, new and returning, for another exciting BNC year!